Just as many are learning to get by without a car by using public transportation and services like Lyft, Uber or Turo driverless cars will make it even less likely someone will need to own a car. A driverless car can be parked anywhere and can be ordered on demand at a moment’s notice. Yes it will take time for the car to arrive from where it is parked to the person requesting a ride but that time is easily accounted for by scheduling ahead of time when a car is needed just like done with Lyft and Uber. The person wanting a ride will not have to worry about getting a driver who is overly tired from driving all night. With a few clicks on a smartphone app a car can be at a person’s location and ready to take them where they want to go. Driverless cars can get people to the airport or to other central transit location points so one can hop on the subway to take them to work downtown. With the average cost of owning a car being around $8,500.00 dollars a year, driverless cars could save some people money over the long term by not having to own too many cars. In addition to financial savings homeowners can realize space savings as well with driverless cars and owning fewer cars. Houses with garages may not need the typical two car garage when more of the residents are catching driverless rides on demand when they need. Homeowners can convert the garage space into living space, extra storage space or something else. Houses of the future may not even have a garage as part of the house plan if more people adopt the attitude that car ownership is not for them. Urban areas where off street parking is a premium may also find the streets less crowded with parked cars as driverless cars don’t always need to park on a residential street since they can be summoned when needed. Companies are already working on plans to allow people to shop for items from the comfort of their front yard. Imagine not having to drive to the grocery store but instead requesting the grocery store come to you. That is exactly what could happen with autonomous vehicles. Your local grocery store will come to you in a driverless vehicle allowing you to pick and choose the produce and food options you need for the day or even for the week. These driverless vehicles can even be stocked with different items based on your desires. Or there can be different vehicles, one with fresh produce, the one with snack foods, another with beverages and more. With the lack of need of a physical grocery store that land could be freed up for other uses like residential housing or entertainment and recreation centers. 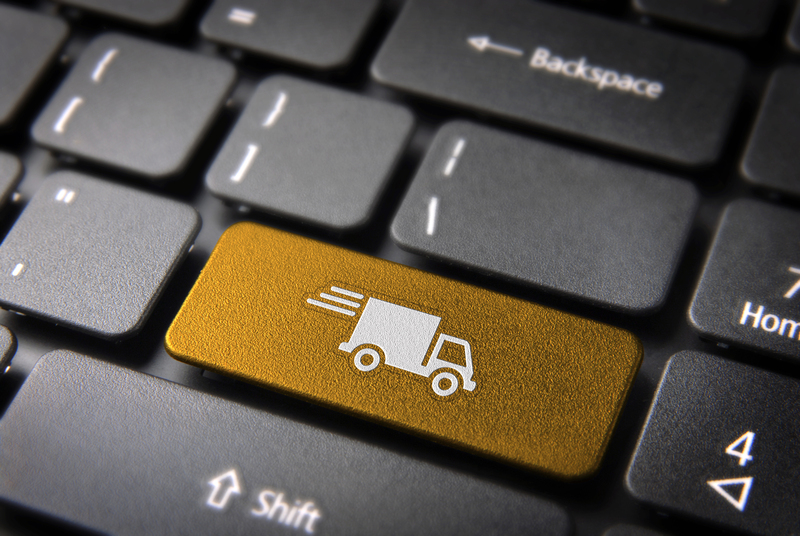 Anything small enough to fit into a truck could be delivered to your door. Shoes, shirts, dresses, electronics, toys and more. Trucks can even be equipped with fitting rooms for the customer to try on before they buy any clothing items that interest them. The possibilities would be endless and the retail space would experience another change as a result. Anyone wanting to drive to a location more than 5-6 hours away has to take into account the discomfort of sitting and driving for that long a period of time. Even with stops long drives can be quite tiring and boring which can lead to accidents. With driverless cars people wanting to travel can even schedule drives during the night while they will be sleeping and let the car handle the commute. Airline travel which is a bit more convenient than long drives (not by much though considering the lines, security hassles and cost) could find themselves in less demand when people can drive to a far destination while sleeping in the comfort of their cars. Comfort and cars do not currently go hand in hand always. For short term rides cars are able to only allow so much comfort and are designed so the driver does not get too comfortable where they end up getting distracted or falling asleep. With driverless cars the interior cabin will change dramatically. Rather than everyone sitting facing forward seats can instead be changed to allow people to face each other. Or the seats can rotate as need be. Rotate to see each other or rotate so everyone can see the screen in their car and watch the latest game. Either way with driverless cars there will be a need to change how passengers interact with the car and with each other while in the car. With a preference towards taking a car for long haul travel motels might not get as much use if people are able to sleep in the car while their vehicle gets them to their destination. So unless a hotel or motel is located in a destination area their use might change as that transition takes place. Places that transition to entertainment areas with multiple options (bars, movie theaters, dining, night clubs, recreation centers and more) are likely to be common gathering areas for people to meet and hang out. One of the big concerns with driverless vehicles is how will they be able to distinguish between an inanimate object (like a trash can) being blown across the street versus a child darting into the street? Can a driverless vehicle react with quick enough timing in order to prevent from hurting someone? On the other side a driverless vehicle won’t have the distracted driver who is trying to drive and respond to a text on their smartphone at the same time. A driverless vehicle will not drive drunk or while under the influence of drugs. A driverless vehicle will not feel sleepy after having been on the road for eight plus hours so things may be safer on that case. This also depends on how many human driver controlled cars are on the road at the same time, with more human drivers the chances of accidents between human and autonomous cars are greater than if there were just autonomous cars. Being computer driven, will driverless cars be subject to hackers taking over control of a car and causing mass chaos? What sort of back up protections will there be in a driverless car that does not have a steering wheel if the system driving the car fails. A human will not be able to take over in that situation. Roads will also be need to be modified to prevent humans and animals for getting on those roads where driverless cars are operating at very high rates of speeds. That will require the adjustment of our current roadway system which in turn will impact the real estate developments associated with the major roadways. Driverless cars are currently being tested and it is only a matter of time before their adoption and use becomes more widespread. With driverless cars people will be freer to do other things rather than focus on the road and travelling by car may become much easier. There are still some safety and design concerns to be worked out in order to make sure it is a safe and effective means of travel. 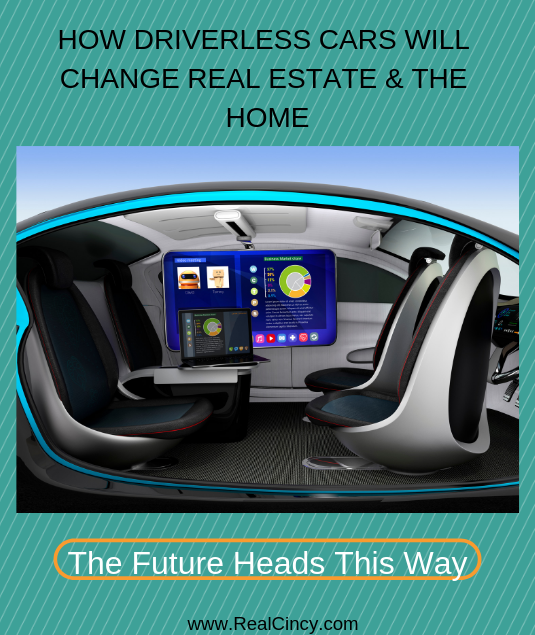 About the author: The above article “How Driverless Cars Will Change Real Estate and The Homes We Live In” was provided by Luxury Real Estate Specialist Paul Sian. Paul can be reached at paul@CinciNKYRealEstate.com or by phone at 513-560-8002. If you’re thinking of selling or buying your investment or commercial business property I would love to share my marketing knowledge and expertise to help you. Contact me today!